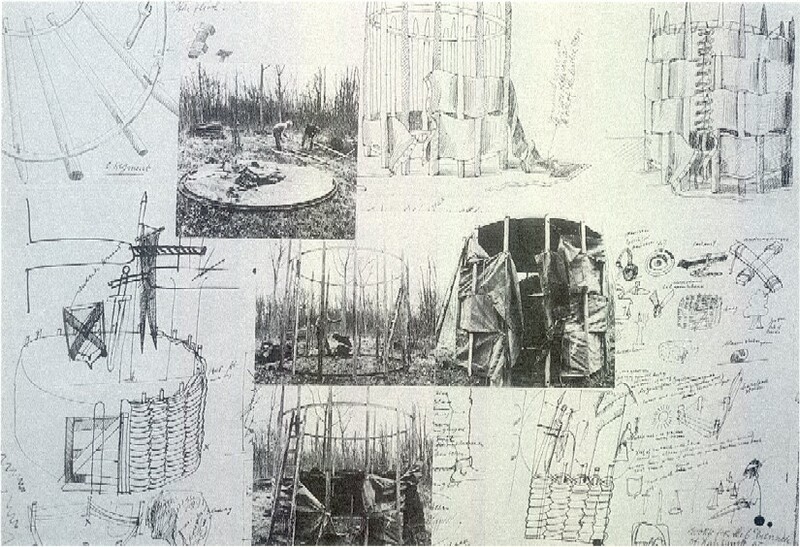 Giezen built a hand-made structure with wooden poles and canvas strips, like a tent, to save a piece of land as a wild garden. It combined the building systems and theories around nomadism from North-Africa with the history of justice and its symbols (inspired at â€œdingplaatsenâ€ ancient courts of justice circles surrounded by wickerwork). He made a complete manual, step-by-step showing the whole building process so anyone could create their own structure. Offer means and solutions for people to make little improvements, changing their life and/or the environment. The creation of a manual for all to use on how to save a small piece of land through an architectural construction.